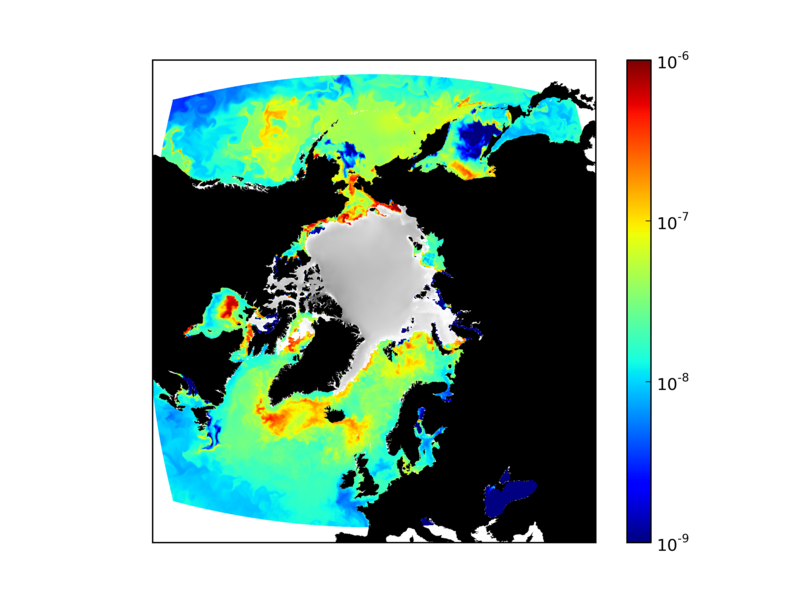 Is the Arctic Ocean a carbon sink? We’ve all heard it: Arctic sea ice is melting. Sea ice is thinner year to year and there is less of it. In 2007, scientists observed a nearly 50 percent loss of summer ice as compared to 1980. With such a dramatic shift, what else is taking place in the Arctic Ocean? Scientists are discovering some of the negative affects, but are there any positive influences as well? “Positive” might not be the best way to put it, but when it comes to the burgeoning amount of carbon in the atmosphere, the Arctic Ocean is counteracting some by a process called carbon sinking. “A sink just means more carbon dioxide is going in the water than is coming out,” said Stephanie Dutkiewicz, a research scientist at Massachusetts Institute of Technology (MIT). In a new study from MIT, Dutkiewicz found that with decreased sea ice, the Arctic Ocean is becoming more of a carbon sink. The team of scientists modeled changes in Arctic sea ice, temperatures, currents, and flow of carbon from 1996 to 2007, and found the amount of carbon uptake in the Arctic increased by one megaton each year. That’s not that big of a number, by the way. “It’s some part of what we’re sending out of our automobiles, a very small fraction of that,” Dutkiewicz said. In any body of water, there is a continual exchange of carbon between the ocean surface and the atmosphere. How much carbon can be stored in water depends on a chemical balance fueled by many things, including temperature. Cold water can dissolve and absorb more carbon dioxide than warm water. With warm summer waters, some carbon will be released into the atmosphere. In the winter, cold water again takes up more carbon. There is a smaller exchange that happens between night and day as daily temperatures fluctuate. But there’s another process—a deeper, long-term form of carbon storage. It happens with a shift of the seasons into spring and summer: the biological pump. As ice melts, open waters absorb sunlight, sprouting phytoplankton—essentially the plants of the ocean—which use the light and carbon dioxide to make their bodies. When those phytoplankton die or are eaten, some of that detritus and the carbon it contains sink out of the surface water into the deep part of the ocean, where it is effectively stored. Over time, bacteria eat away at the detritus, converting it back into carbon dioxide that, when stirred up by ocean currents, can escape into the atmosphere. So these two forces, increased productivity versus warming waters, are opposing one another. Which is winning? Right now, it is still the biological pump, which undergoes long-term carbon storage, but this trend is not stable. In addition, Dutkiewicz and the other researchers found the Arctic isn’t homogenous, revealing the delicacy of these antagonistic forces. 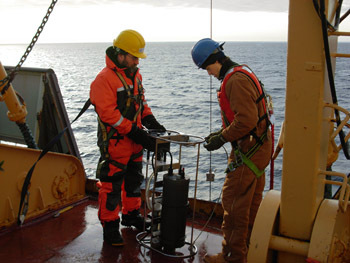 Areas of warmer Arctic Ocean temperatures were less able to store carbon. The Barents Sea, near Greenland, actually acted as a carbon source, emitting carbon dioxide into the atmosphere. Manizza, M., M. J. Follows, S. Dutkiewicz, D. Menemenlis, C. N. Hill and R. M. Key. 2013. Changes in the Arctic Ocean CO2 sink (1996-2007): A regional model analysis. Global Biogeochemical Cycles (27)4. doi:10.1002/2012GB004491. What is under Greenland’s ice? What about that hole in the sea ice? Can liquid water persist within an ice sheet? The Karakoram Anomaly: Is it real? 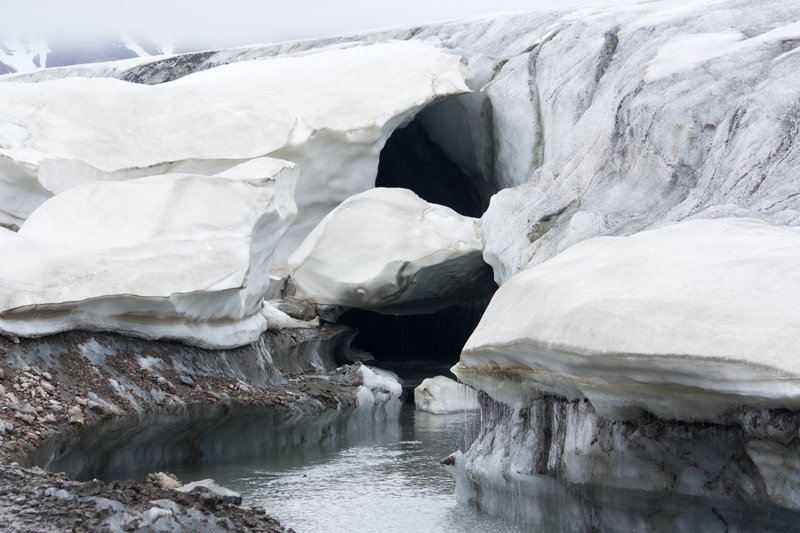 What can stall a glacier? Why is there so much Antarctic sea ice? Is declining sea ice changing the atmosphere?